Sahar Speaks is a powerful initiative that brings journalism to the women of Afghanistan, and through the power of writing and articulating true stories, is set to empower them. 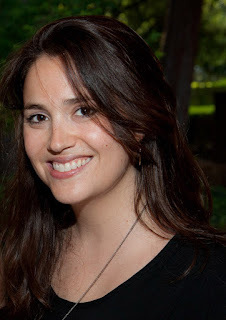 Speaking about her journey with Sahar Speaks, Amie Ferris-Rotman shares her story. My father is British, my mother American. I grew up in both countries. I was born in London, but moved to the States when I was 11. I came back to the UK for university (I received a BA and MA in Russian Studies). Even though my two countries speak the same language, they could not be more different. Growing up on both sides of the Atlantic had a huge affect on my life; it gave me a thirst for exploring the world. 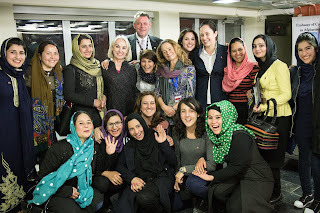 I attended an all-female rock concert in Kabul in 2013. The Australian organisers had (rightly so, in my opinion) banned male press. They wanted the audience at the event -- which included spoken word poetry and Afghan female rappers -- to feel as comfortable as possible. In Afghanistan, it's difficult for women to truly relax in a mixed-gender environment. I went and covered it for Reuters, but we weren’t able to get photos or video because I am a writer. And we couldn’t send anyone, because we didn’t have any. None of the major international outfits - the BBC, the AP, AFP, NYT, etc -- covered it because they had no Afghan female journalists. I was the only reporter to cover the rock concert. So essentially, this unique, all-female rock fest was wiped out of history because we didn’t have any photographic or video evidence of it. And really, this is a metaphor of what has been happening in Afghanistan all along. The event, the women involved in it, were silenced. That's when the kernel of Sahar Speaks was planted. The development of it happened while I was a John S. Knight Journalism Fellow at Stanford University, over 2013/14. We launched in December 2015 at London's Frontline Club, and the pilot round took place in March, 2016. Going into the project, I thought the biggest challenge would be getting the women on board. I was worried they may be prevented by the men in their lives, or societal restrictions such as freedom of movement, etc. But actually, the biggest challenge was security. The Sahar Speaks participants are so strong-willed and independent -- but security is a problem that everyone in Afghanistan -- and, sadly, increasingly journalists -- faces, and this concerned me greatly. We kept the place of our training secret, and we didn't use any pictures of the participants until after the training. We also didn't post anything on social media during the actual training. Once we secured permission from the participants and OK'd the use of their names, pictures, etc, we started distributing these. The participants are still working on their stories -- which will be published in The Huffington Post throughout the spring -- but we've already had some inspirational surprises. We gained two additional participants during training -- including one participant who spoke little English but had the courage to show up and ask if she could "sit in to learn" -- taking our total of women for the pilot round to 12. We have women who come from illiterate and uneducated backgrounds, whose fathers and mothers encouraged them to pursue their journalistic ambitions, we have mothers, family bread-winners and students. It's an amazing group! I'm a journalist through and through. Great stories wake me up in the morning, and keep me going. The stories the Sahar Speaks participants want to pursue are simply amazing. They will be telling the world aspects of Afghanistan no one knows about. This inspires and excites me. And reporters who do good work should be rewarded, encouraged, and appreciated. That is already happening with the Sahar Speaks participants. We are now planning a second round of Sahar Speaks, photography workshops, paid internships at Kabul-based foreign bureaus, more published stories and a private networking community. Sahar Speaks is also a model: it can be ideally replicated anywhere in the world - including India!